Truly committed to raising an awareness of the Holocaust in India and to combating Holocaust denial, Indo-Judaic Studies researcher and Muslim-Jewish Relations Activist, Dr. Navras Jaat Aafreedi would be the only Indian to attend the International Educator Institute at the United States Holocaust Memorial Museum in Washington, DC, when it takes place from 16th to 20th September, 2013. Last year in June, he conducted an educational workshop at an International conference on Holocaust education at Yad Vashem in Jerusalem, Israel, on how to educate the Indians about the Holocaust. 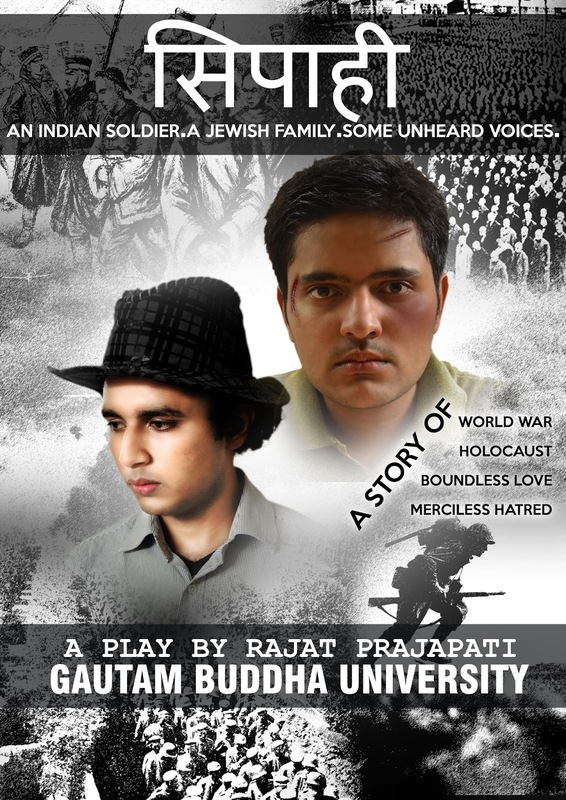 Inspired and motivated by him, the students at the Gautam Buddha University in Greater Noida, India, where he teaches as an Assistant Professor, have produced a Hindi play on the Holocaust, which they will enact later during the year. It is the story of the horrors of the Holocaust as witnessed by the soldiers of the Indian legion of Hitler, which had been raised by the Indian nationalist leader Subash Chandra Bose by recruiting soldiers from the Prisoner-of-War camps in Germany which, at that time, were home to tens of thousands of Indian soldiers of the British Indian army captured by Rommel in North Africa. Bose intended to use this army to liberate India from the British rule. Thanks to Dr. Aafreedi’s efforts, South Asia had its first ever Holocaust films retrospective in 2009 at the Lucknow University and the Ambedkar University in Lucknow, a major centre of Muslim scholarship, in Uttar Pradesh, India. This Holocaust Films Retrospective becomes all the more significant considering the fact that just three years before, a conference, “Review of the Holocaust: Global Vision”, aimed at denying the Holocaust had taken place in Tehran from the 11th to the 12th of December, 2006. And, now this Holocaust films retrospective got organized, not far away in the Judeo-Christian West, but in close proximity to Iran, in one of the major Shia cultural centres of the world, Lucknow, right in the centre of the Muslim heartland of South Asia, home to the world’s largest Muslim population. Lucknow was also home to the ancestors of the leader of the Islamic Revolution of Iran, Ayatollah Rouhollah Mousavi Khomeini. 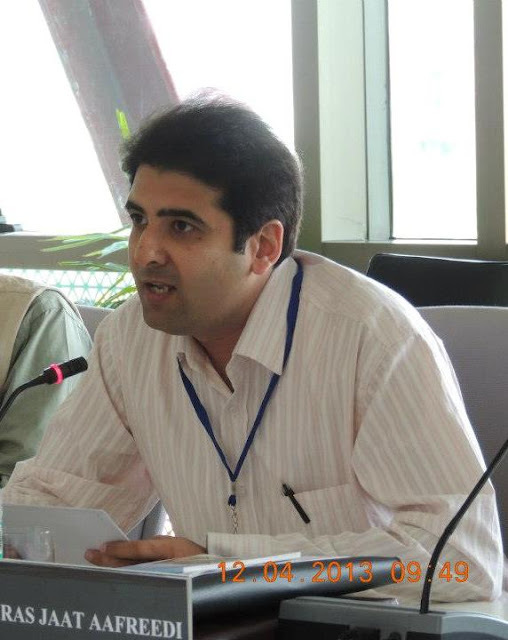 His ancestors had settled there in the late eighteenth century and continued to live there till the mid-nineteenth century when his grandfather, Seyed Ahmad, migrated to Iran and settled in Khomein, some 160 kilometres to the southwest of Qom. While the films retrospective was in progress, the two most popular Urdu newspapers there, Rashtriya Sahara and Aag tried to sabotage it by publishing front-page lengthy stories denying the Holocaust and terming it the biggest hoax of the twentieth century. But this did not hamper the enthusiasm of Dr. Aafreedi, who passionately screened forty-eight Holocaust films in a span of fourteen days and even got a number of Muslim intellectuals to speak against Holocaust denial. He also organized a number of book readings focusing on the Holocaust. He continued with his efforts to educate the youth about the Holocaust even after he moved to Greater Noida, where he joined the Gautam Buddha University in 2010. As a member of its cultural council, Dr. Aafreedi screened a number of films on the Holocaust and gave impassioned lectures on it. For years he has been building a library of Jewish Studies. He intends to give free courses on the Holocaust and Jewish History under the auspices of the organization he is trying to establish, whose registration is currently stuck in the red tape of the Indian officialdom.